With Audio widget, you may setup cover image for your audio list. 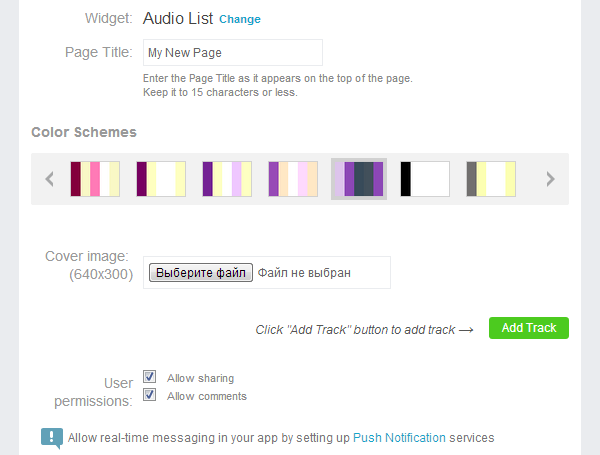 You can also allow your customers sharing tracks via Facebook & Twitter, and post comments. NOTE: to activate the life-time messaging, you should set up push notification services in your app. You can add, edit or delete audio tracks from your app using "Add", "Edit" or "Delete" icons. 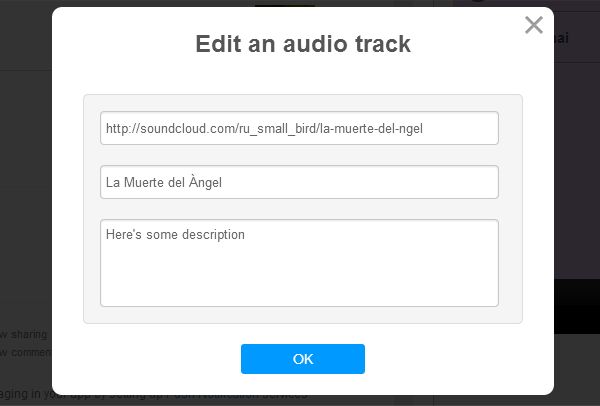 When uploading playlists from SoundCloud, all descriptions come together with tracks. You can edit them within iBuildApp system - with no changes on SoundCloud. Make sure that you files are in MP3 format (your files should have the ".mp3" extension. If you're not sure how to check a file extension, please refer to your OS documentation). If your file isn"t an MP3 then you need to convert it to .mp3. There are plenty of special software and online services for converting audio files from one format to another. http://www.koyotesoft.com/audio-software/free-mp3-wma-converter.html is an example of the software. http://www.video2mp3.net/ is an example of the online service. When using a hosting service, make sure they provide direct access to your files. iBuildApp supports all of them if they broadcast your music in MP3 or ACC format. Playlist is a file that contains list of the audio files. If you are an advanced user you can create a playlist yourself. An example of the software that you can use for creating playlists is Winamp. You can also create the list manually. You can also use playlists provided by third party software. For example, you can obtain the playlist on the online radio site. NOTE: All playlists should contain info about audio accessible through the Internet. Otherwise it will not work. Your playlists should be available on the Internet. 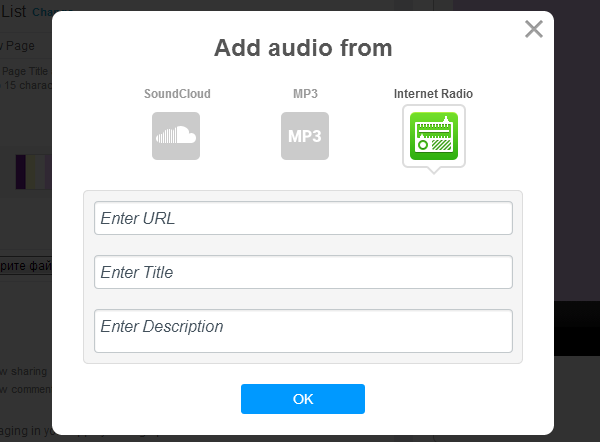 You can host the playlist files on your site or use any hosting service. 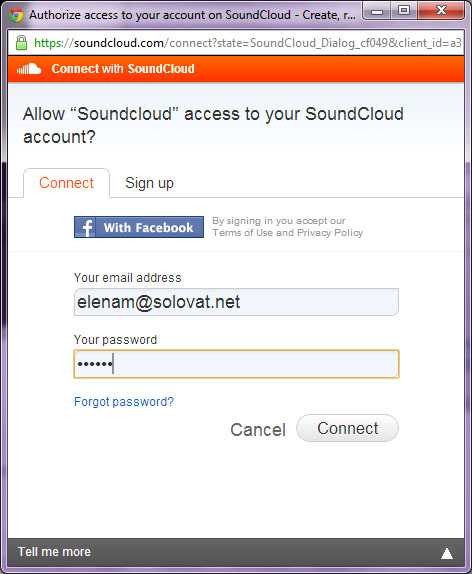 To use the playlist, provide a direct link to your audio file. 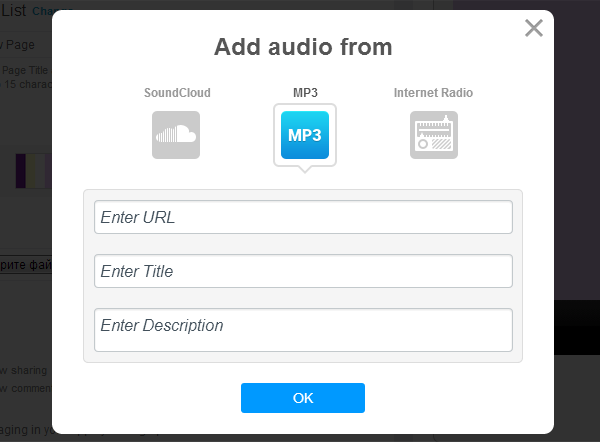 If you want using audio tracks from your SoundCloud storage, select "Audio" widget as a page type. 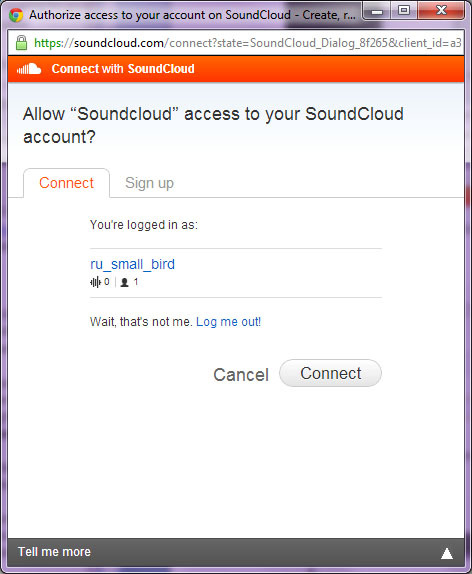 Note: If you make any changes on SoundCloud.com you have to synchronize it with iBuildapp again. You can make certain tracks and sets hidden using appropriate controls. Hidden tracks will not be shown in your app. 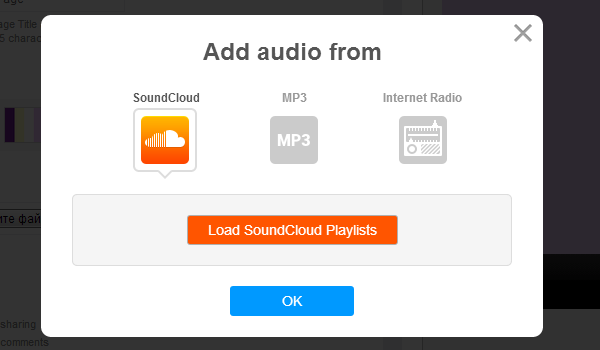 Note: administering your track list from ibuildapp.com will not affect your SoundCloud’s list.